What if you could buy a complete business library for $27? If you’re self-employed and anything like me, you’re always on the lookout for more opportunities to expand your knowledge and hone your skills when it comes to running your business. The problem is, this can get costly. I want to grow my business and find more efficient ways of running it but I only have just so much to invest into it. That’s why you NEED to take advantage of this amazing deal. 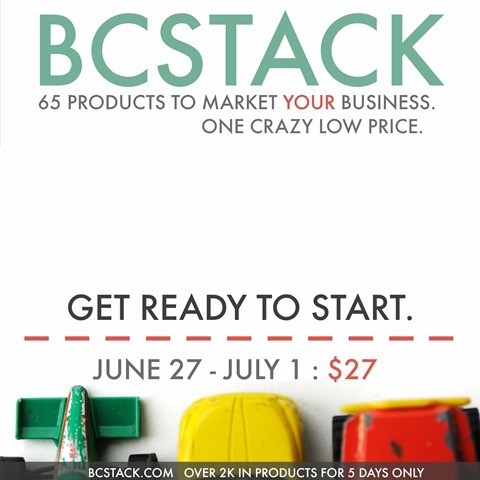 BC Stack is a collection of 65 online products valued at over $2000 and for the next 5 days only June 27 to July 1, 2016), you can get it for just $27! 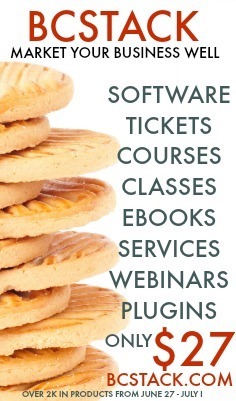 This is not just a collection of e-books – it also includes courses, tickets, gift certificates, classes, services, software and more. Bloggers, vloggers, social media influencers and strategists, writers, marketing professionals, business owners – BC Stack is for you! Hurry! BC Stack Ends July 1st at 11:59 pm Central time. This really is a one-time deal.